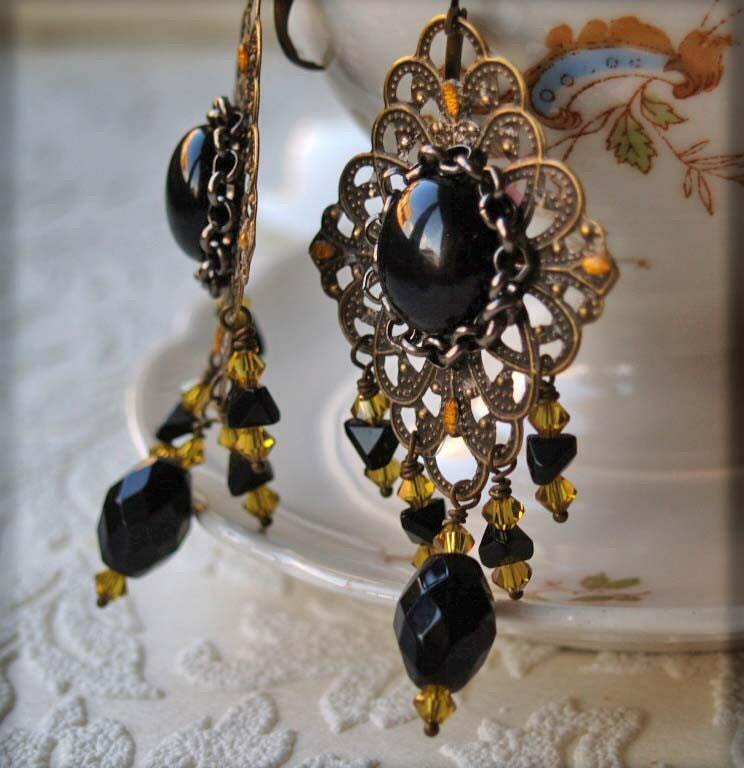 Brass stampings decorated with little hot fix and black glass cabochon.Dangling faceted glass beads and swarovsky beads. Coupon code available 20% off insert MOTHERDAY during checkout. Folksy :: Buy "Bumble Bag: Hand Knitted Handbag with Lucite Bead & Crocheted Strap"